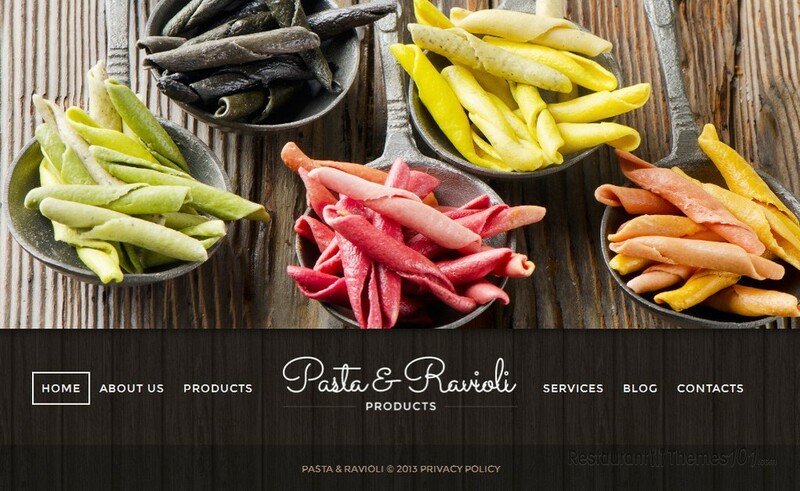 If you are a restaurant owner, looking for a responsive restaurant template for Joomla, Pasta & Ravioli is a great choice to consider. 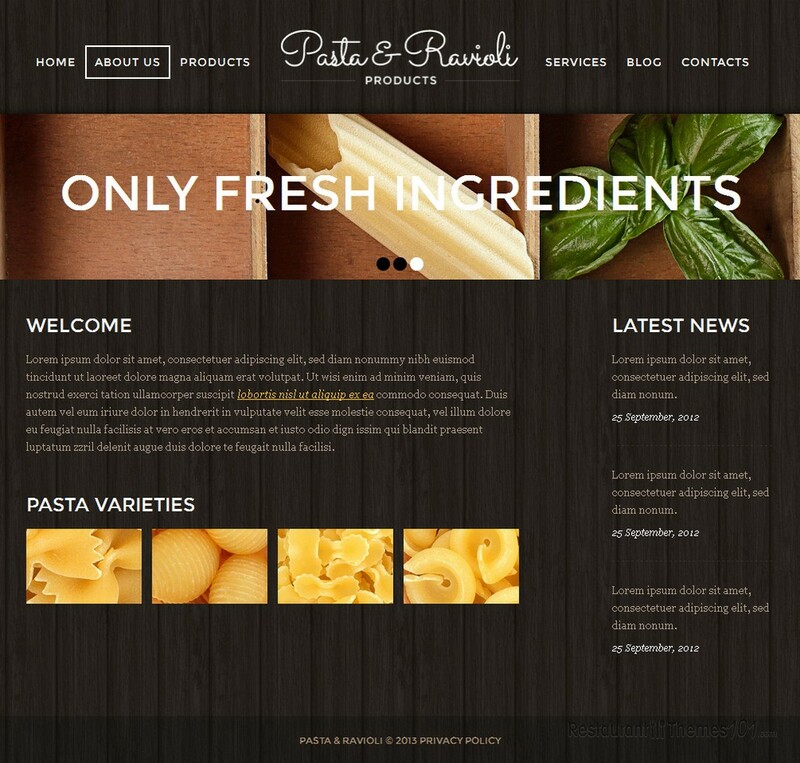 The template looks very extraordinary and if you want a website that is like no other, check this one out, you will like it! 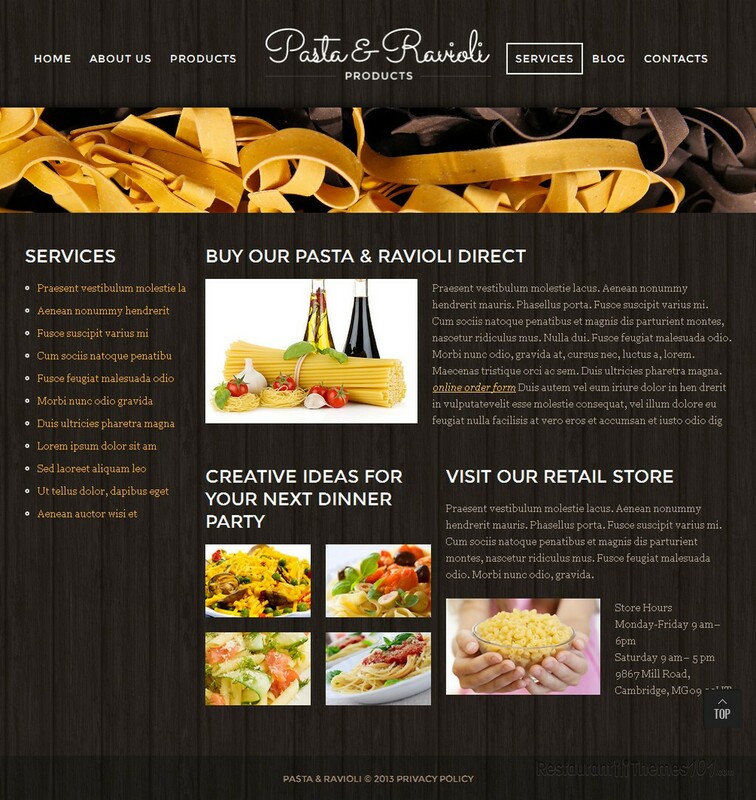 Pasta & Ravioli was created by Astra and it is presented at Template Monster. The homepage of this template looks unique and very stylish. A huge, quality photo of delicious meals goes across the homepage, making sure everyone know what’s most important about your restaurant: the delicious food you offer! The “about us” section is there for you to introduce your visitors to your restaurant a little better, and tell them all you want them to know about your restaurant so they feel welcomed and pleasant while browsing your website. You can post photos of your food in the products section, and you can tell your guests everything about each dish in detail. 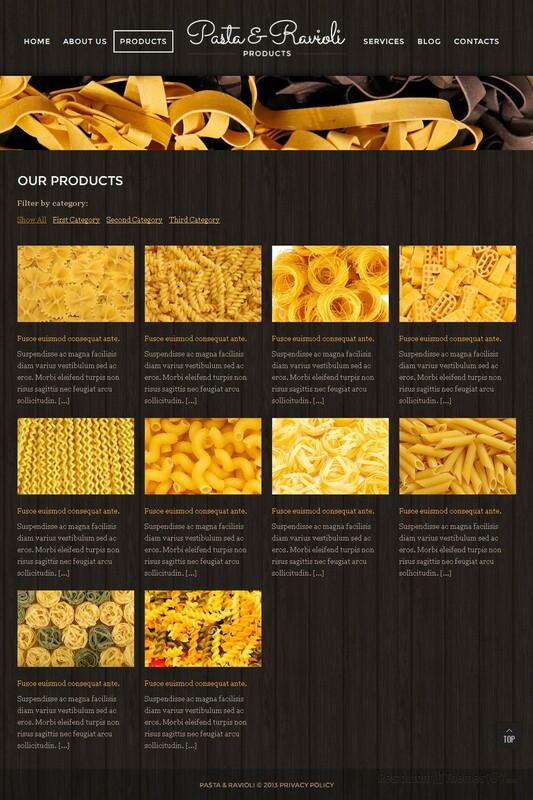 This section makes a great menu, nicely organized and very easy for browsing. The contacts section is reserved for you to show all your info details including address, phone and email, and there is Google Maps integration featured, with a map showing exact direction to your restaurant so everyone can find it with ease. In case your visitors have any questions or suggestions, a nice contact form was added for them to be able to contact you easily and quickly. 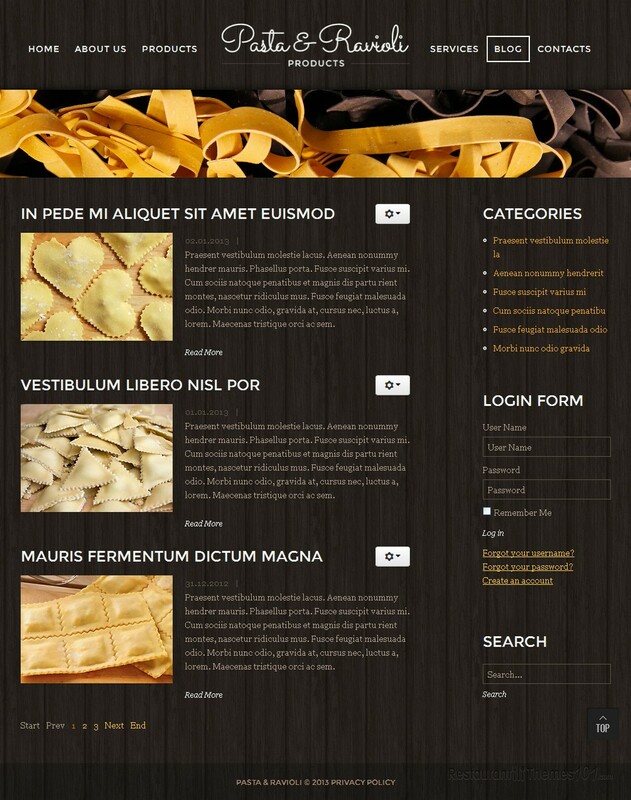 This responsive Joomla restaurant template comes with two smartphone and one tablet version of the layout. No matter what device your guests use to view your website, it will always look pixel perfect and you don’t have to worry about any element looking funky, regardless of the screen size and resolution. A powerful admin panel makes it very easy for anyone to manage this template, not only professional web designers. With setup and installation instructions included, you will be able to run and operate this template all by yourself, even if you aren’t a skilled coder.